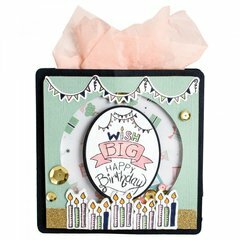 Make your stamping projects so much easier with the Mini Stamper's Secret Weapon Accessory inspired by Stephanie Barnard for Sizzix. 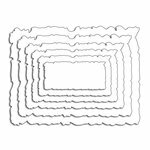 This accessory includes a double sided stampingpiercing mat; the smooth side of the mat is the perfect surface for creating projects that have cleaner stamped impressions. At the top of the smooth mat there is a coarse bar that can be used to quickly pierce small projects or to set a quick brad. For larger projects, flip the mat over to the coarse side to pierce and create. 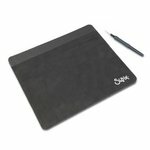 The package includes one mat that measures 6.5" x 6". 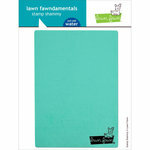 This is perfect size to stamp on a craft table.It uses very little space. The foam found on wood and cling rubber stamps is squishy, it gives a little to help distribute the pressure necessary to get a good imprint. This product is not squishy, it is hard, in fact it has near zero give. It is porous which might be good for other uses, I don't know. But it is not self-healing. Repeated use with anything sharp or heavy will damage the porous structure. 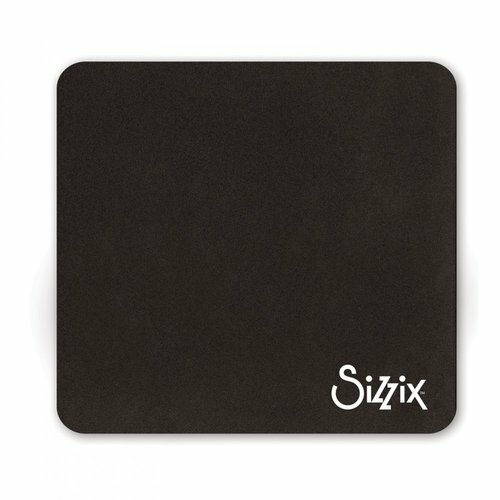 This product is not a substitute for rubber stamp foam, nor one of those old fashion mouse pads. Buyer beware. They call it a "secret weapon" which is an odd name. The secret part might be the gnomes of Zurich giggling. It certainly will not give you better stamp impressions. If you ever struggle with getting a good even crisp image from your clear stamps it’s because this Secret Weapon is needed. It’s not because the stamp is of poor quality. 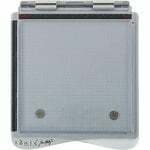 This pad will change the way you look at your clear stamps. They’re not hard like rubber stamps are so you will definitely experience some soft spots from a clear stamp (I hope that makes sense). This pad fills in those soft spots giving you a nice crisp image. It’s a game changer for sure. I’ve resurrected so many of my clear stamps after using this for the first time. I’m so pleased! Every stamper should have one of these. 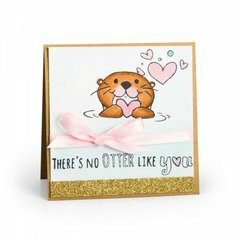 It’s the perfect size for a standard card or even a bit larger. It’s light weight but sturdy. It’s not going to wear out. Ever. I already had the larger version that stays on my work top, but this is the perfect size to take with me when I go to other locations for crafting projects, group efforts, or classes. 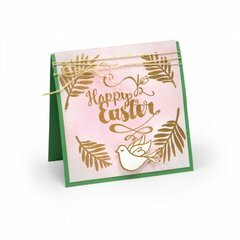 Some of the less expensive stamps can be difficult to work with as some are extremely soft and flexible making it hard to get a clear imprint. This little gem will solvw your problems. What is the "mini stamper secret weapon" used for??? It would be nice if you could give more info. I'm guessing it's used as a stamp cushion.......? By: nielson10 (14-Apr-17) Helpful Question? Yes | No Thank you! Report Inappropriate This question has been reported. Thank you! Yes, this item is used as a stamp cushion and you can also use it for paper piercing. It provides a straight, firm and even foundation. This mat is also self healing. By: Amber Boren (14-Apr-17) Helpful Answer? Yes | No Thank you! Report Inappropriate This Answer has been reported. Thank you!